“A mother comes to visit her daughter in hospital after having not seen her in many years. Her unexpected visit forces Lucy to confront her past, uncovering long-buried memories of a profoundly impoverished childhood; and her present, as the facade of her new life in New York begins to crumble, awakening her to the reality of her faltering marriage and her unsteady journey towards becoming a writer. 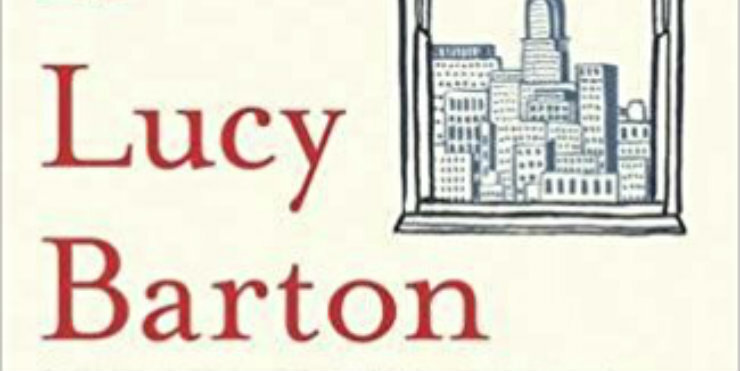 My Name is Lucy Barton is a gem of a book that is beautifully written and deserves to be read by everyone. It is a short, quick and easy read, yet Elizabeth Strout conveys so much about the characters and their experiences. Essentially, the book is about the interchange between a mother and a daughter who had been estranged for many years. Their conversations are brief, realistic and often humourous, yet Strout manages to expertly and subtly reveal the past and present complexity of their relationship through what is said and not said. There is no plot as such, yet this is a soothing book to read where the language flows. It is the story of motherhood, the complications of maternal love, the longing of the child into adulthood to feel loved and, beyond that, the complex psychology of relationships. My Name is Lucy Barton generated many lively discussions. The powerful skill of the author is such that a mere word in the context of its time triggers a whole backstory that illuminates and enriches this little book. We all loved this book and thoroughly recommend it.